Private customized journey. 9 days/8 nights - from $400USD per person / per day, based on 2 people sharing! This is just a sample itinerary for inspiration; we can fully customize this to meet your needs. Arrive to the Tuxtla Gutierrez airport, meet your guide and transfer to Chiapa de Corzo and the Sumidero Canyon. 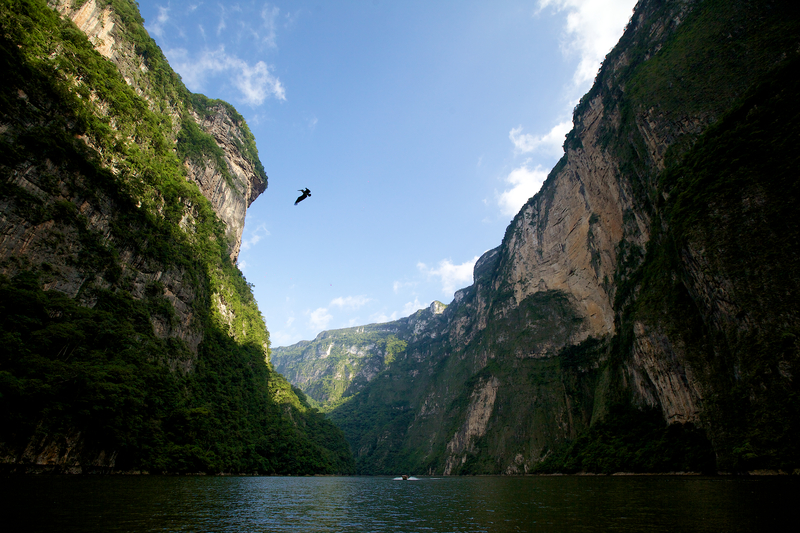 Embark on a motorboat trip through the majestic rock walls of the Sumidero Canyon towering thousands of feet above the river. Enjoy opportunities for wildlife viewing, such as crocodiles, cormorants, spider monkeys, and herons. 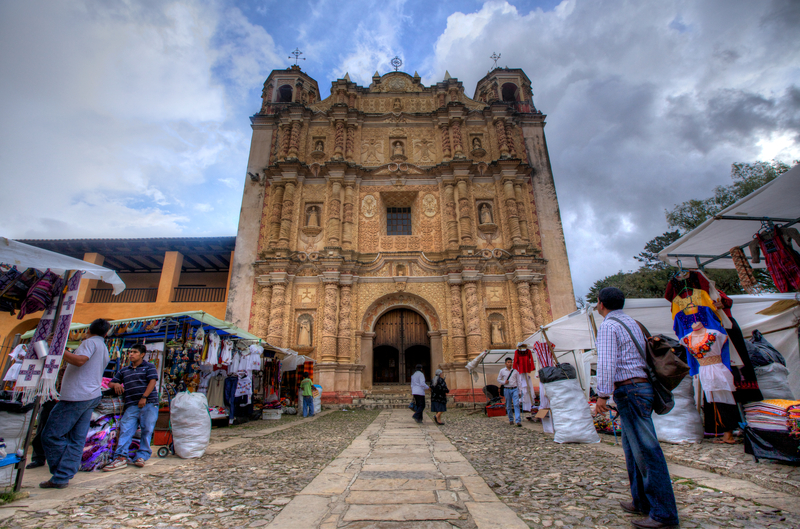 Return to the dock and continue into the highlands to the quaint town of San Cristobal de las Casas and settle into the charming colonial hotel. The Hotel Casa Mexicana is located in the beautiful mountainous and colonial city of San Cristóbal. It is centrally located within walking distance of many historical sites. We offer you all the amenities, comforts and personal services of a fine hotel, relax in the interior sky-lit garden, enjoying the original Mexican art treasures assembled here. 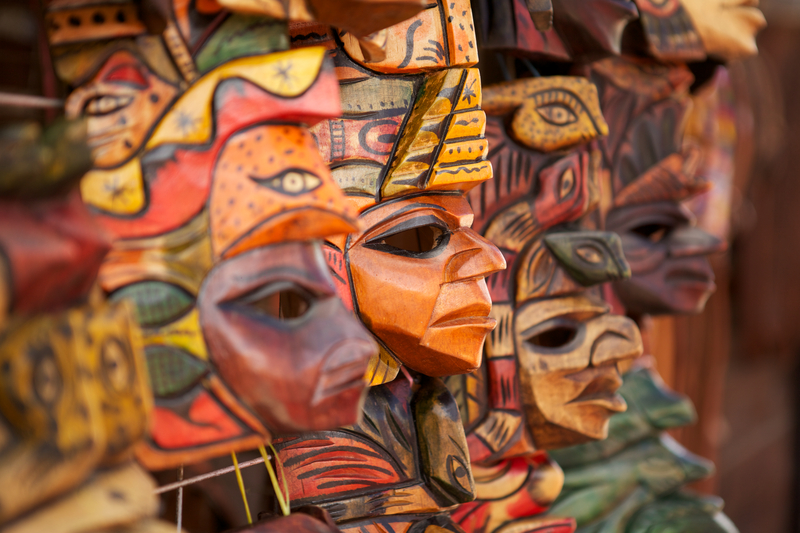 The guest rooms all open into the gardens or private courtyards filled with art, folk - art and the presence of nature. Depart San Cristobal and travel to Montebello Lakes for a full day in this remarkable cluster of over fifty lakes and ponds. 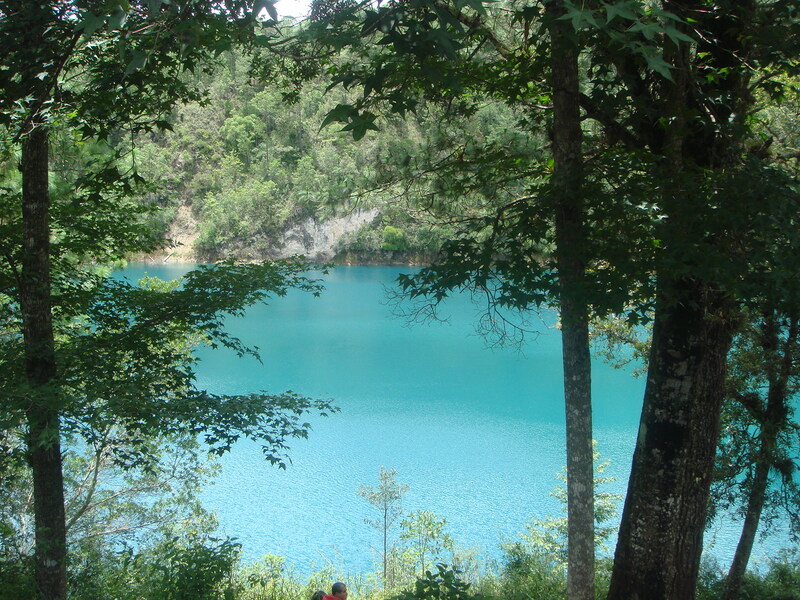 Each lake is unique in size, shape and color, ranging from emerald green to cobalt blue. Enjoy a hike among the lakes and pine forest, boasting dramatic overlooks of the valleys below. Drive to the hacienda in Comitan for dinner and to settle in for the night. 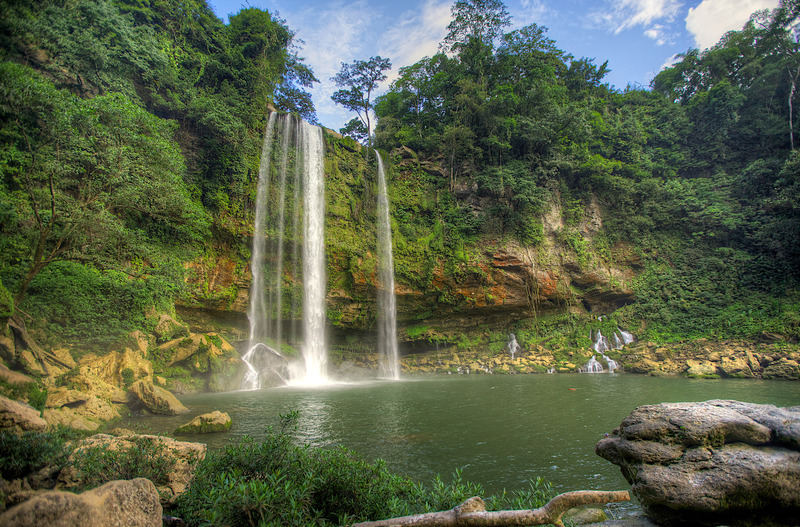 Descend from the Chiapas highlands with a drive into the Lacandona Rainforest. Stop at the Las Nubes Waterfall on the Santo Domingo River, famous for its vibrant turquoise color, for a 1.5 hour hike in the area. After lunch at a local restaurant, continue for two hours to Las Guacamayas, an environmental education and ecotourism center and your home for the next two nights. This lodge focuses on the conservation of habitat for the macaw in this region. Relax in your cabanas with private bathroom and hot water, and fall asleep to the sounds of the jungle as you prepare for the next day’s Chiapas adventure. Lacandona Rainforest is a protected area with tremendous opportunities for bird watching and wildlife viewing, including jaguars and eagles, both important symbols for the Maya. Tucans, red macaws, curassows, tucancillo collarejo, and cojolite (turkeys) are all found in this area, species sought by the Maya for their traditional headdresses. Choose from various options for today’s included activities. You can take a two hour boat trip on the Rio Lacantun for bird watching and wildlife viewing (and maybe a jaguar if you are lucky), or hike to areas to spot the reserve’s macaws. If you simply want to relax at the lodge, a hammock is waiting for you! The day can be customized based on your preferences and interests. Bid farewell to Las Guacamayas and depart to Yaxchitlan, a Maya complex known for its strategic (and scenic) location on a bend in the Usumacinta River. The site displays ornamental facades and stelae (or carved stone slabs) that depict Maya battles and ceremonial events. Due to the remoteness of this site, Yaxchitlan is less-visited than other Maya ruins of similar importance and size, giving you more quiet and freedom to explore Yaxchitlan with your local guide. Hit the river with a half-day rafting trip on the Lacanja River. This scenic river cuts through lush rainforest and passes through small waterfalls and pools, giving a nice variation between meandering stretches and exciting drops. Most drops are 3-5 feet high with one at 8 feet and a Class II - III rating depending on the water level. This afternoon visit Bonampak, a Maya site meaning “Painted Walls” in a Maya dialect. The site is famous for its vivid frescoes showing the consecration of the ruling elite’s heirs, depictions of battles, sacrifices, and ceremonies and displays some of the finest murals found in the pre-colonial Americas. 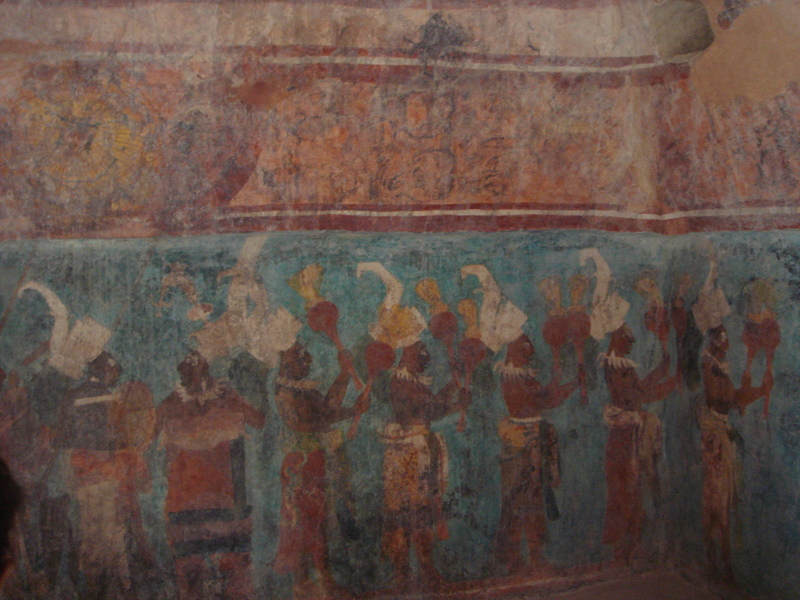 Many murals remained unfinished due to the fall of the classic Maya civilization. In the evening, travel to Palenque and overnight. CHAN-KAH is located in Palenque. Ruins close to Palenque Archaeological Zone are considered by UNESCO as Cultural Patrimony of the Humanity. Jungle covers CHAN-KAH surroundings with magnificent flora and fauna. You may enjoy watching hundreds of tropical trees, bright yellow flowers Guayacanes, violet flowers Maculises, golden Cocoanuts, big leaves and fruits, Chestnuts, wild animals, armadillos, opossums, howler monkeys and hundreds of birds, creating a sing and color symphony. 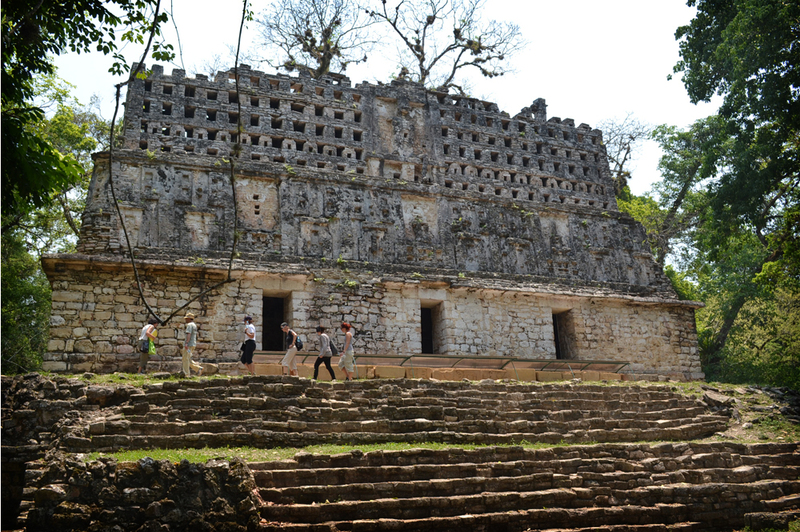 Palenque was an important power center during the height of Mayan civilization that dates back to 100 BC. It is still unclear what led to the important city state’s fall around 900 AD. Nestled deep in jungles at the foot of the Sierra Madre del Sur, Palenque’s setting is as memorable as the site is important for the light it sheds on Maya traditions, ritual, ceremony and spirituality. A massive complex spread over 15 sq. km., only the central area has been excavated. Peruse the Templo de Las Inscripciones, a burial monument that is Palenque’s tallest building, and El Palacio, the residence of Palenque’s rulers built in stages from 400 AD until 900 AD and restored in 1955. The palace’s tower is believed to have been constructed so Maya royalty and priests could watch the falling sun during the winter solstice. 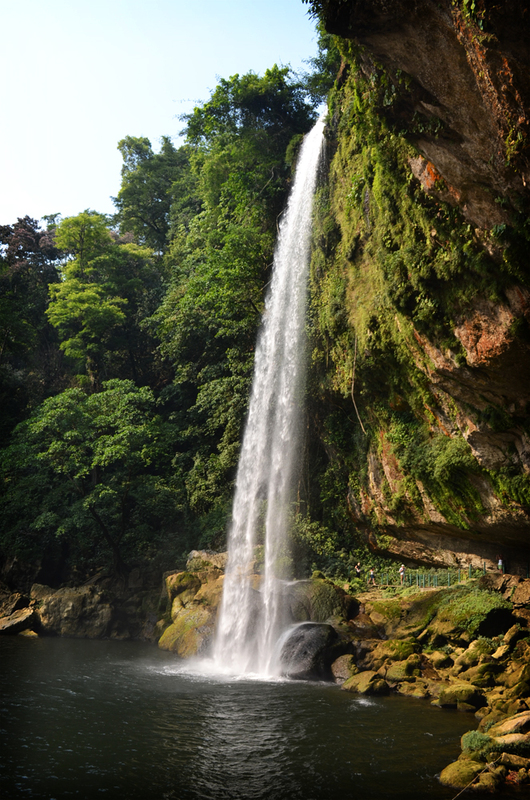 After Palenque, continue to the Mishol-Ha Waterfall that cascades 115 feet into a pool surrounded by lush, green vegetation. An optional path winds behind the main falls that acts as a curtain and leads into a cave. Be prepared to get wet, but it is a nice break from the tropical heat. Bring your swimsuit and take a swim in designated areas during low flows. Transfer to Villahermosa (two hours) for a late morning or afternoon flight out of of the airport to your next destination in Mexico to continue your Mexico tour or to return home. Contact our Adventure specialists today for more information by calling 604-736-7447 or click ''contact us' to send us a message!